Hundreds of faithful gather each week in the makeshift Savior of the World church. With its walls bedecked with Christian paraphernalia, it's an unlikely scene in the heart of the Jewish state, hidden in a non-descript building in a hardscrabble southern area of the Israeli city of Tel Aviv. 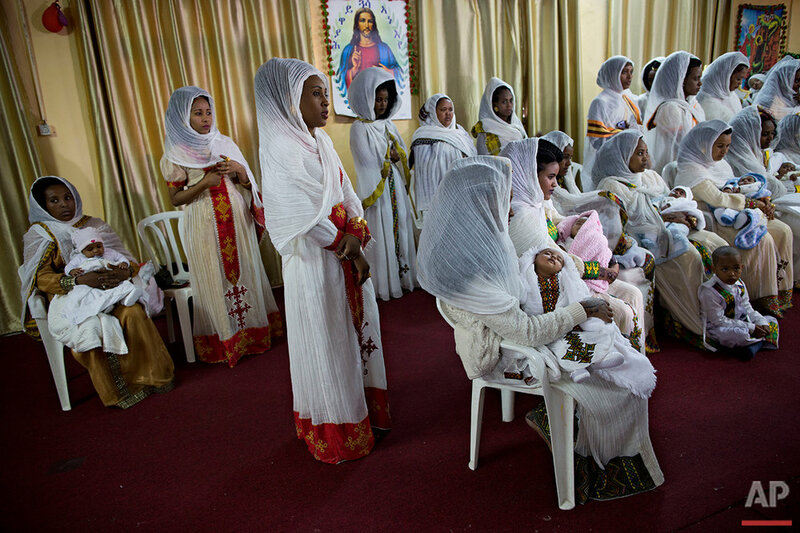 The worshippers are some of the tens of thousands of members of the Eritrean migrant community in Israel. Their churches are an integral part of their community, providing a temporary spiritual escape from often hostile Israeli government policies. "To go to church is like water for fishes," said Rev. Solomon Eyob Ghebrezgabiher, the spiritual leader of Saint Mary, another Eastern Orthodox church in south Tel Aviv. "Without religion and church we cannot live," he said, speaking in the Eritrean Tigrinya language through a translator. Some 45,000 African migrants and asylum seekers are in Israel, the majority of them from Eritrea. Many say they are fleeing conflict and persecution and are seeking refugee status. Israel says they are economic migrants whose numbers threaten the country's Jewish character. Residents of south Tel Aviv blame them for rising crime rates. Israel's hard-line government has in recent years sought to limit the migrants' numbers. It has built a fence along the border with Egypt, a once-common migration route, and sent many migrants to a remote desert detention facility — and in some cases back to third-party countries in Africa. 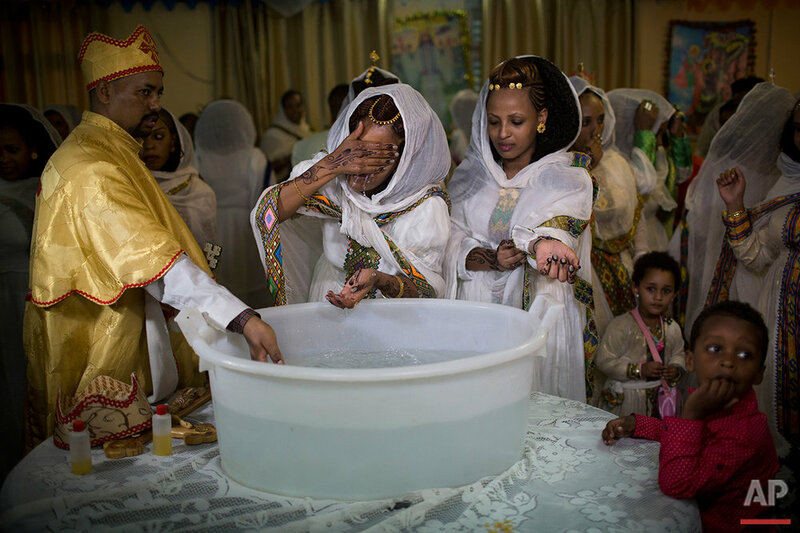 But on Saturdays, Eritrean churchgoers don their finest and come to pray, gathering on the Jewish day of rest rather than on Sundays, when the Israeli work week — on which their sustenance in menial jobs hinges — begins. Migrants have had to adjust to other Israeli customs, including bureaucracy. Some churches have been evicted for operating in residential areas, whereas others have unknowingly been charged city tax, which places of worship are typically exempt from paying. 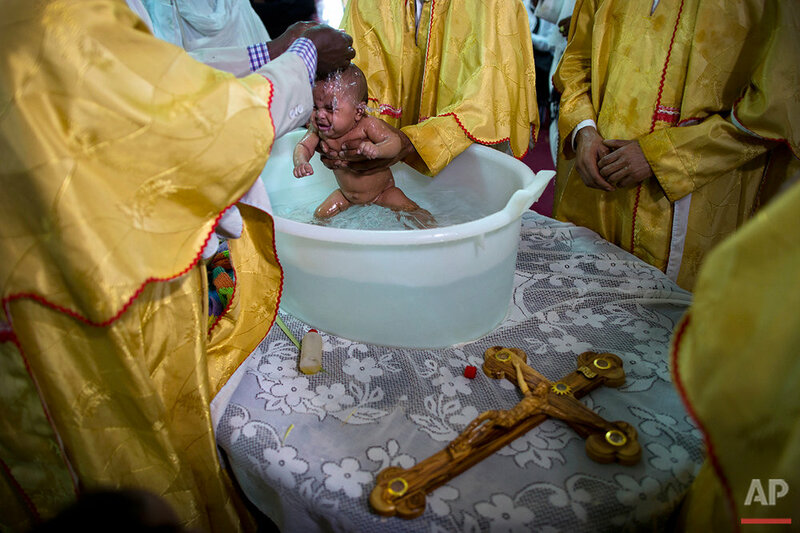 On a recent Saturday, hundreds of worshippers watched as about 20 babies were baptized, sprinkled with water in a plastic tub by clergy donning yellow and red robes. A crucifix carved from olive wood lay nearby. Women swaddled in traditional white garb waited for their child's turn. 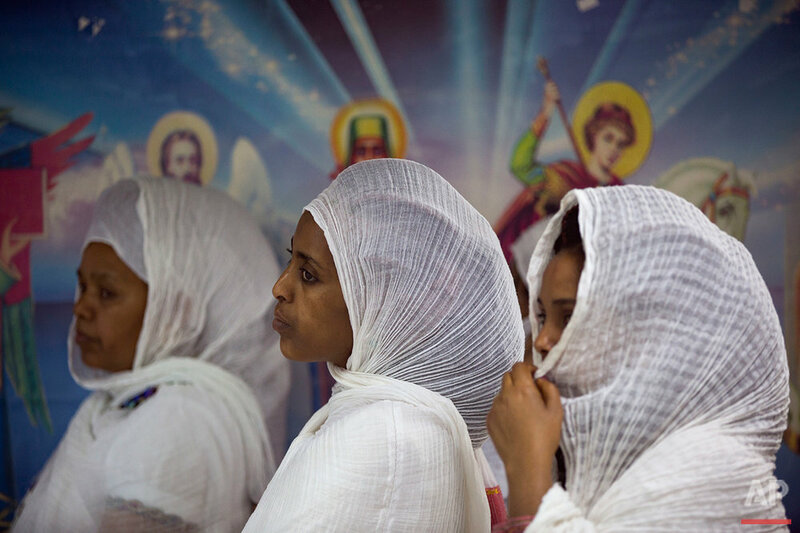 Images of Jesus and Mary peered down from the walls, on flimsy posters adorned with scripture in Tigrinya. "As Christians, prayer is most important," said Ghebrezgabiher, who works as a cleaner when he is not leading a congregation. "We want to pray for our community, for our country. We have to pray for our church." 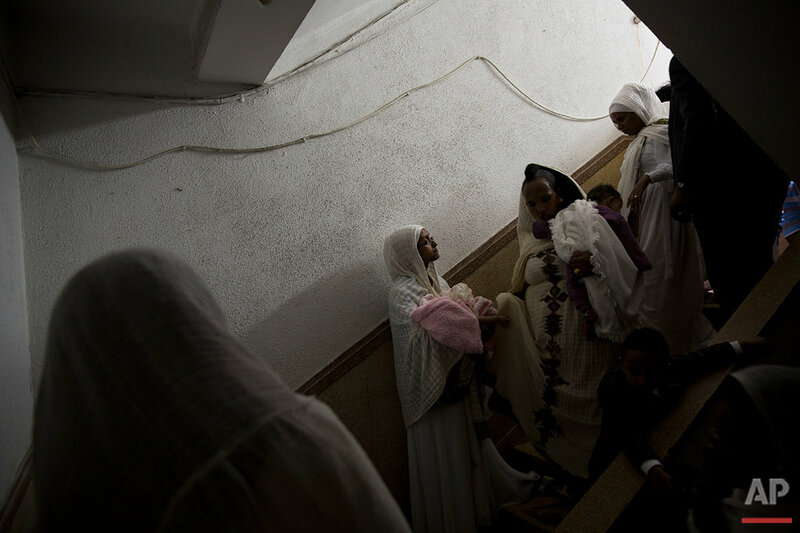 Text from the AP news story, Eritrean migrants find escape in Tel Aviv church by Oded Balilty.